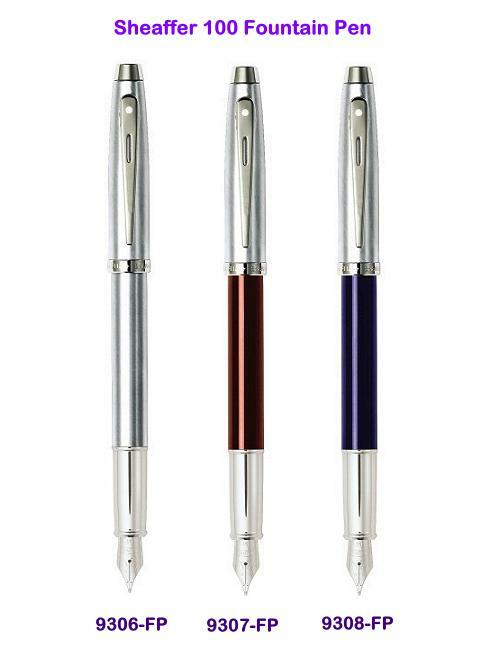 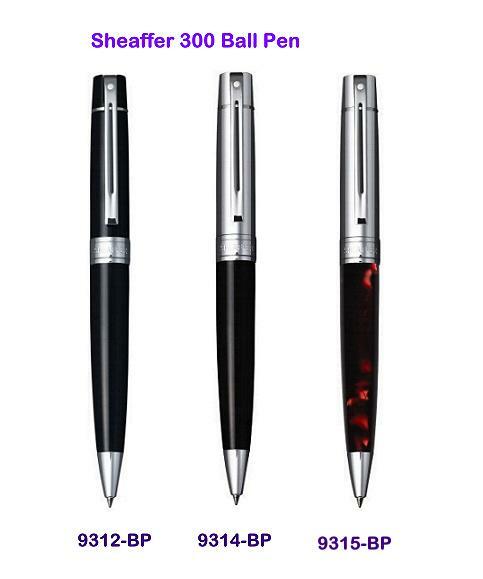 •The ballpoint features a smooth twist-action mechanism. 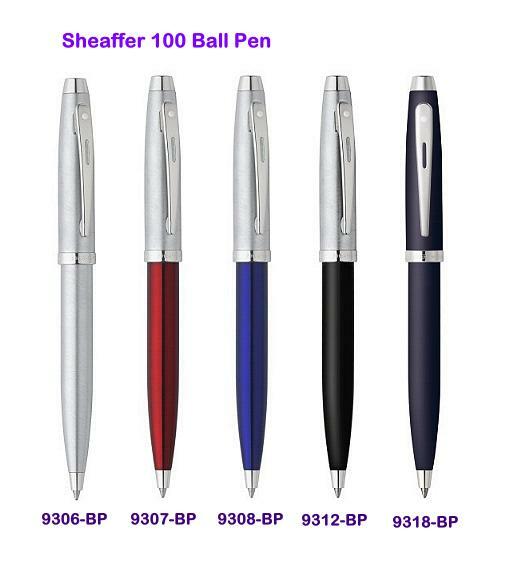 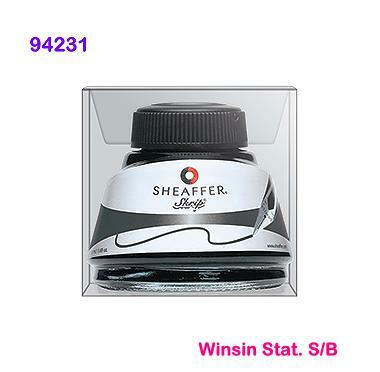 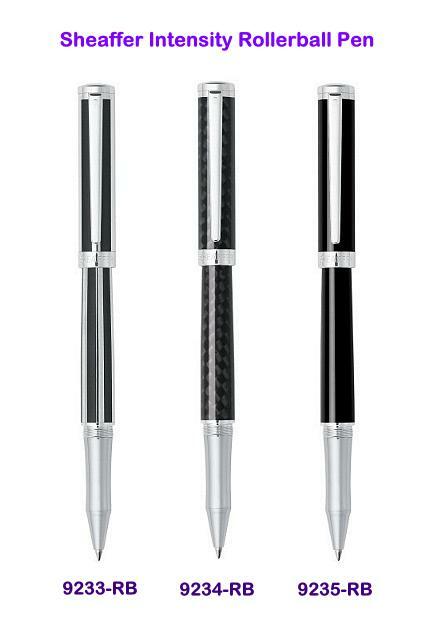 The Sheaffer® Intensity® Roller Ball feature a contemporary polished chrome grip, and screw-on cap. 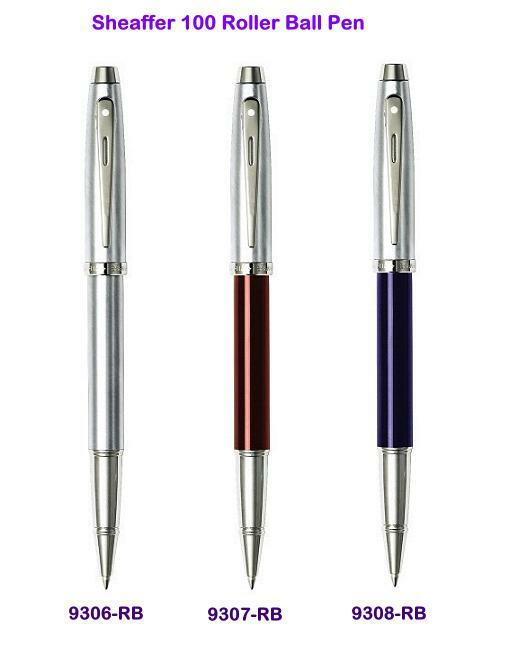 All ballpoints feature a smooth twist action mechanism that securely locks in position during use. 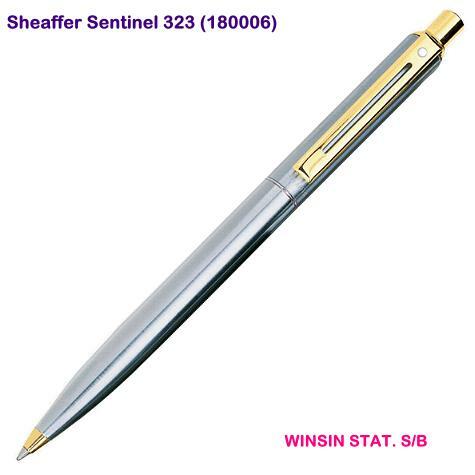 The Sheaffer® 100 fountain pen features a stainless steel nib in medium point grades. 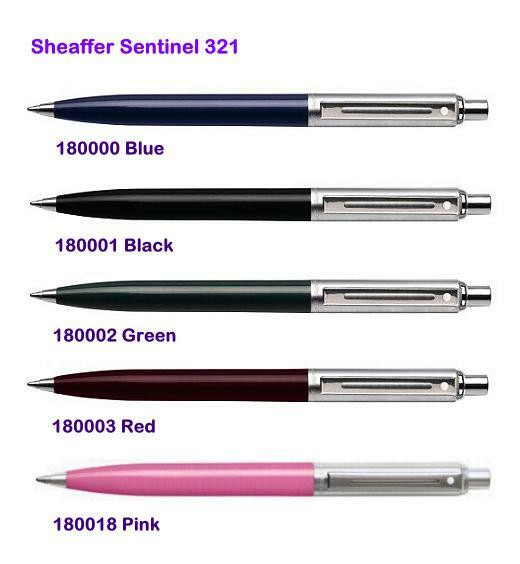 The fountain pen gives you effortless, elegant writing and can be refilled with a twist-action piston convertor or Sheaffer® Skrip® ink cartridge. 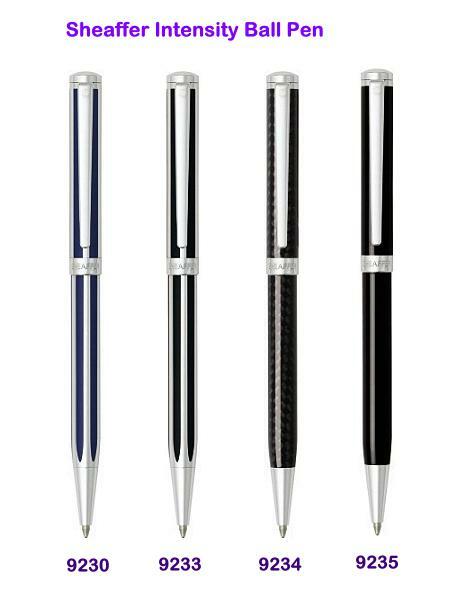 The roller ball glides across the page with ease creating a smooth writing experience.